As a Product Manager, you develop user flows to chart how customers move from signup to successfully using your SaaS product. 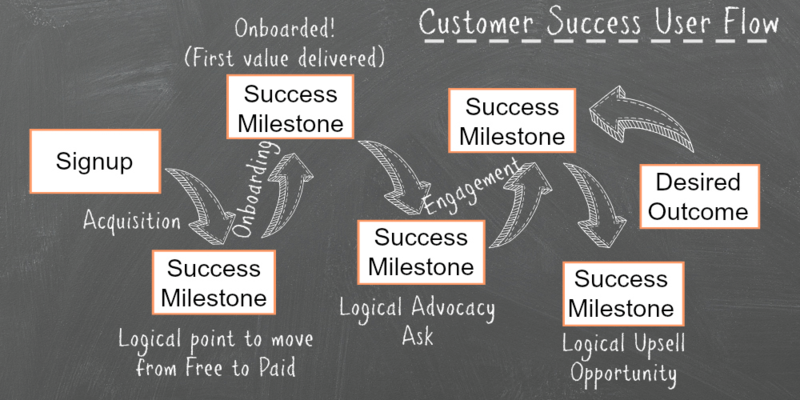 Your colleagues in Customer Success are doing the same thing — mapping a flow of customer milestones to success. But “success” can mean different things to PMs and CSMs. And, while both teams employ user flows (or customer journeys), what they put on them are very different, reflecting their very different goals. You are responsible for making the product functionally work, with enough awesome UX so it’s relatively intuitive for the customer to use. For your team, “success” often means that the product works. It does what it says it will do, and does it well. 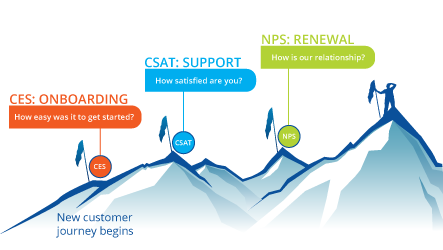 Customer Success is responsible for helping customers use the product to achieve their desired outcome. 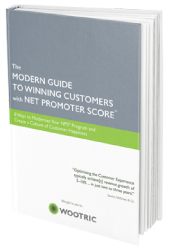 Most of the time, that desired outcome isn’t in the product – it’s outside of it. For example, if I purchase a budgeting app, my desired outcome is to save enough money to sun myself on a Caribbean beach, with a good-looking server to bring me fruity drinks with umbrellas in them. The Customer Success manager’s job is to get me there. You might say it’s a conflict between focusing on the world inside the product and the wide, wide world outside of it. 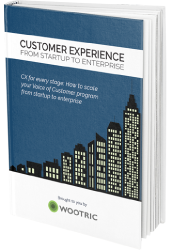 And that conflict can bring about a deep divide between Product and Customer Success. Yet, we’re all working towards the same goal: Creating a product people love, need and want more of. What if you were to bring both user flows together, so the functionality inside the product meets the desired outcomes outside of the product? 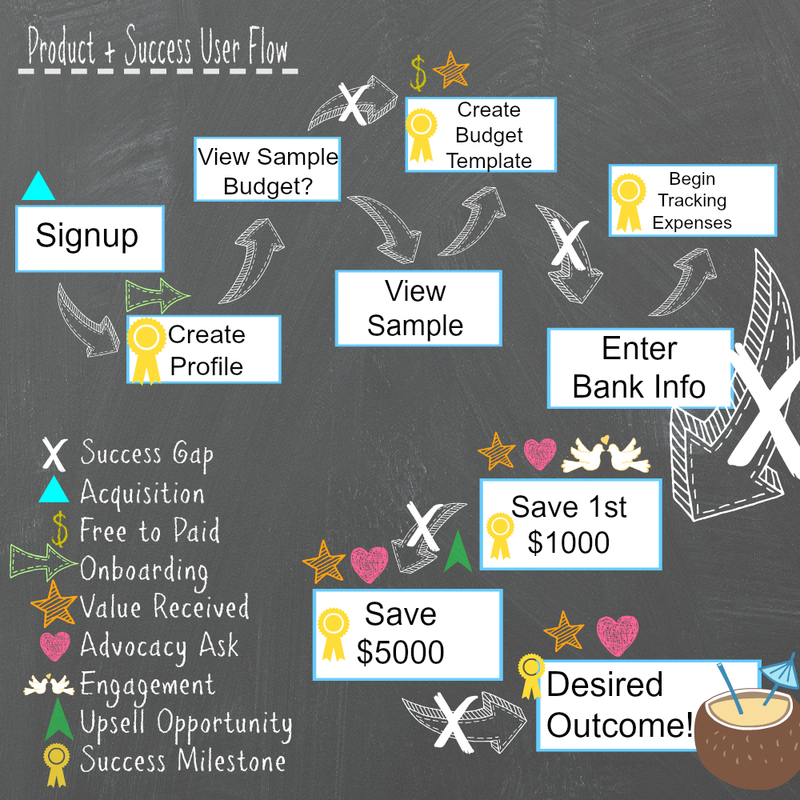 This is a basic Customer Success User Flow, riffing off of Lincoln Murphy’s mockup. This type of user flow shows how customers get to each successive Milestone – or the parts of the product that will take them to the next step towards reaching their Desired Outcome. But this chart doesn’t show the most important part for the CSM: The success gaps between signup and that Desired Outcome. It’s in these spaces that Customer Success does most of its work. Success gaps are what stand between product functionality and success milestones or desired outcomes. My budgeting app might help me save money, but will it help me have an amazing Caribbean vacation? Of course not – the product isn’t designed for that. Let’s take another example: Hubspot. HubSpot’s product is an impressively integrated website, social media management, marketing, CRM and Sales platform. Their customer’s desired outcome is to build a successful online business. So, HubSpot’s Customer Success team created a Sales blog for salespeople, a Marketing blog for marketers, and the Hubspot Academy with certification courses in inbound marketing, email marketing, inbound sales, content marketing, sales software, marketing software, design for web and marketing agencies, contextual marketing, and HubSpot design. They’ve created everything you could possibly need to succeed, in the real world, using their product. HubSpot is an extreme example – most businesses don’t have the resources for anything so comprehensive. But the principle behind it is something we can all employ. Give your customers the tools and information they need to do what they need to do. And this is where Product comes in. When you think of user flows, it is typically about what you want users to do next in the product – the functional completion of getting from A-Z. In your user flows, you’ll see interactions within the product, with options for different paths users can take within the product. And, once again, success gaps are between every single action. This is often where you will insert in-app tutorials to cover the usability success gaps, but it’s not the PM’s job alone to think outside the product. That’s what Customer Success is for. My clients often have user flows, ready-made, from their Product teams. They may or may not have user flows from their Customer Success teams – and if they don’t, I tell them to create one. You have to, have to, HAVE TO know where your success gaps are! 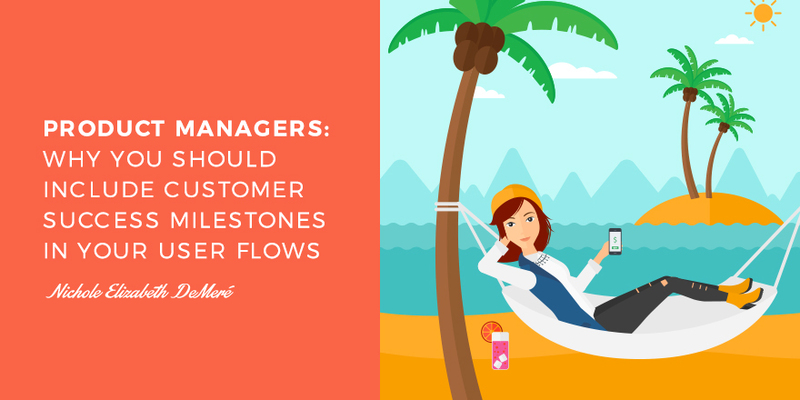 Lately, however, I’ve recommended a new way to create user flows: By bringing Product Management and Customer Success to co-create a user flow together. It’s a user flow that brings together success inside the product with success outside of the product. And, it opens the door to getting Product’s ideas on ways to close the success gaps from within the product, and Customer Success’s ideas on how to improve UX. Clearly, this is a greatly simplified version of a user flow. But do you see the two sides coming together? Do you see the potential within those success gaps for Product + Success brainstorming? And, most importantly, do you see how this user flow can actually get the user – from a Product and CS perspective – to their Desired Outcome? Think of it this way: Every success gap presents an opportunity for Customer Success and Product to design a solution to bridge it. Sometimes that solution will be entirely on CS’s shoulders, like creating informative content, how-to’s, or videos. Other times, that solution will require your expertise to create an in-app pop-up tip, milestone celebration, or alert – and, when the success gap is a little too wide for a quick fix, a new feature or expansion. By mapping both perspectives at the same time, you’re building the customer’s success into your process from the beginning. If you and your Product team are only talking about the functional completion of the product, then it’s time to add a few more chairs to the conference room table – and invite Customer Success in. Your product will be stickier when the functionality inside the product helps customers achieve their desired outcomes outside of the product. 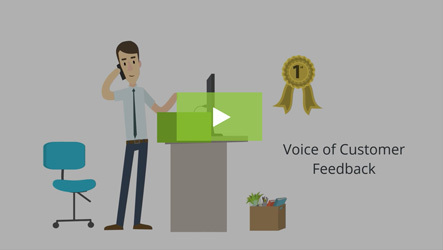 Start getting free in-app feedback on your product today. 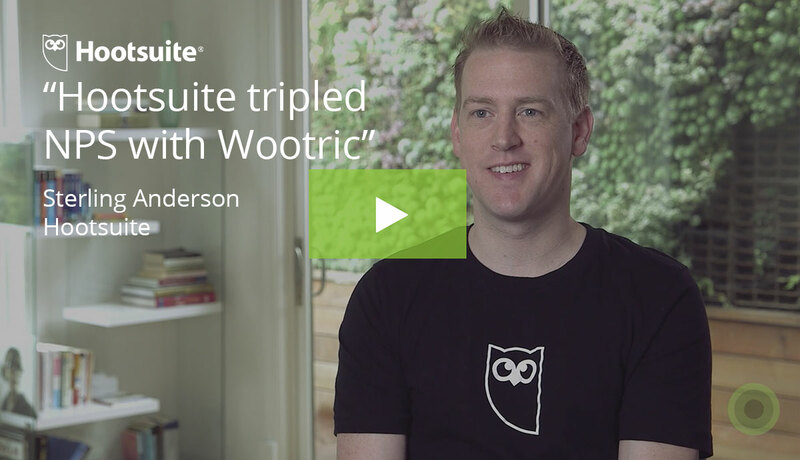 Signup for Wootric.